What’s next for the modern Learner ? The number one Human Capital issue in the Middle East is redefining the Learning and Development (L&D) function to meet both the businesses needs and that of the Modern Learner. But do we really understand what this means for our businesses, ourselves as L&D professionals, and for our ultimate customers, the learners themselves. Only 24% of line managers believe L&D is meeting the strategic needs of the business, only 14% of L&D professionals believe they are viewed as strategic partners, and 66% say they are having a hard time engaging employees with their L&D offering. We have no choice but to change and work on all three levers at the same time. Let’s look at each of these challenges in some more detail, in reverse order, before focusing on some recommendations for the way forward. Today’s employees are not restricted to one office, retail store or factory, they work from several locations. 37% of the global workforce has gone mobile and 30% work somewhere other than the employer’s main location. Over 70% access search engines to help with their job and are increasingly turning to just their smartphones for just in time on-demand answers. Learners are turning to personal and professional networks for answers, and research shows that 80% of workplace learning happens between peers, teammates and managers. Rapid changes in business means employees need to be constantly learning just to keep up, and 75% say they are overwhelmed and stressed. Couple this with all the many distractions that exist, both good and bad, and we have competition for the minds and learning perspectives of our teams. We are competing for a very small attention span, in fact, the research shows 1% of a typical work week is all employees have to focus on training and development, which equates to about 5 minutes a day. I think that, as a region, we’ve been slow to change, putting the Middle East on average five years behind the USA. We have always known that we can’t just throw training out there; we need to tee up, and transfer training. Historically, we have surrounded training with job aids, coaching, social learning, e-learning and other pre and post solutions, but we relied on the training event or workshop as the central component. Is traditional training really the right center point for the way forward? The more mature L&D groups deliver 50% more learning via experiential, social and on-demand methods shifting their focus from training to continuous learning. How many of these various resources are you deploying in your organisation? We should no longer look at each of these categories surrounding a program, competency or skill, but rather look at the bigger picture of overall learning and development encompassing all of these and more. a) Immediate needs – performance support and other tools for point of need learning, what do I need to know now? b) Intermediate needs – current job development and competency expansion, what do I need to know next week, next month? c) Transitional needs – Development of skills and relationships that will meet long-term business goals, what do I need next for my career to develop? Technology – 10 years ago we talked about e-learning as a new thing, and we talked about blended learning. We now have to look at technologies differently. It’s no longer just about having a good Learning Management System or extensive access to online materials. There are reporting and learning analytics tools, social learning solutions, external content libraries, collaboration tools, professional social networks and adaptive learning platforms to name a few. Content is everywhere and learners are no longer relying on the two hour or two day workshop you provide. Most employees now have access to the internet at work, through smartphones, or connected business devices. Whether we like it or not, employees typically unlock their personal smartphones up to nine times every hour. Online designers now have 5-10 seconds to grab someone’s attention before they click away. We need to start using this instinct to our advantage, rather than restricting access. If the above two challenges aren’t enough, business managers are expecting specialist skills to be developed faster and faster, as the lifecycle of specialist or expert skills accelerates. Retention rates put pressure on these needs as well, expecting employees to contribute to the bottom line quicker and ideally transfer skills to others. We have to find a way to match this pace in the limited window of five minutes a day. Can we move fast enough to meet the effectiveness and efficiency for the company? How do we stay aligned with the business, aligned with the leader’s expectations, and measure constantly so we know where they are and what they need? How are progressive companies solving these challenges? They are redefining and expanding the roles in L&D. Introducing product and marketing roles, tasked to think like product managers, rapidly evolving learning and introducing innovative ways to communicate and engage learners. Having more business consultants and business category experts, so they can get closer to the organisation, understand specific needs and requirements that tangible impact KPIs and results. They are expecting L&D divisions to shift mindset from a siloed mentality to a networked one, from complacent to curious, piecemeal to holistic, rigid to agile and conventional to innovative. They are closer to the Modern Learner humbly realizing that they might not have all the answers, asking employees and line managers questions like: What do you need to support your success at the moment? What do you need to know to support your growth in the current role? What do you need to grow your career? There isn’t a one size fits all approach, but personalised to each learners needs. They are in continuous conversations with the business, understanding their stress points and challenging KPIs, bottle necks and concerns. Starting with the business impact helps them to remain strategic and look for multiple category solutions rather than a quick fix, short term training course. Finally, they are measuring results both in terms of knowledge lift and knowledge retention, as well as business impact, like a reduction in safety incidents, an increase in sales results, an improvement in customer satisfaction, thus making L&D’s contribution strategic, tangible and measured. Many progressive companies are using adaptive learning platforms, like Axonify, that are designed with the Modern Learner in mind. Axonify is an adaptive, grounded in brain science, gamified learning platform that allows employees to never stop learning. 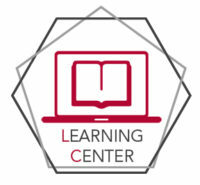 After initial upfront training that provides the foundation of key pieces of learning, a continuous learning cycle kicks in with three minutes of highly targeted and personalized information, delivered in a fun and rewarding way, giving them the maximum potential to remember and retain, so learning is actually transferred. It also enables L&D professionals to explore who knows what, as the system identifies the gaps in learning. Using bite sized, daily adaptive learning, 1100 Ethicon (part of Johnson & Johnson) medical reps increased their confidence in technical product knowledge by 50% in just 90 days, which had a direct impact on topline revenue results. A large children toy retailer had a 62% reduction in safety incidents, significantly reducing the businesses expenses. There are many more case studies to help you implement experiences from others as you define your new learning strategy. L&D needs to become learner centric, employee centric and the heart of solving business problems. We need to increase employees knowledge and change their skills, making everyone top performers, whilst working within the constraints of the business and today’s overwhelming environment. To achieve this in our hectic, diverse, fast paced world in the UAE, we need to think completely differently. The future is learning everywhere, all the time – predicted for five years from now. How ready are you?